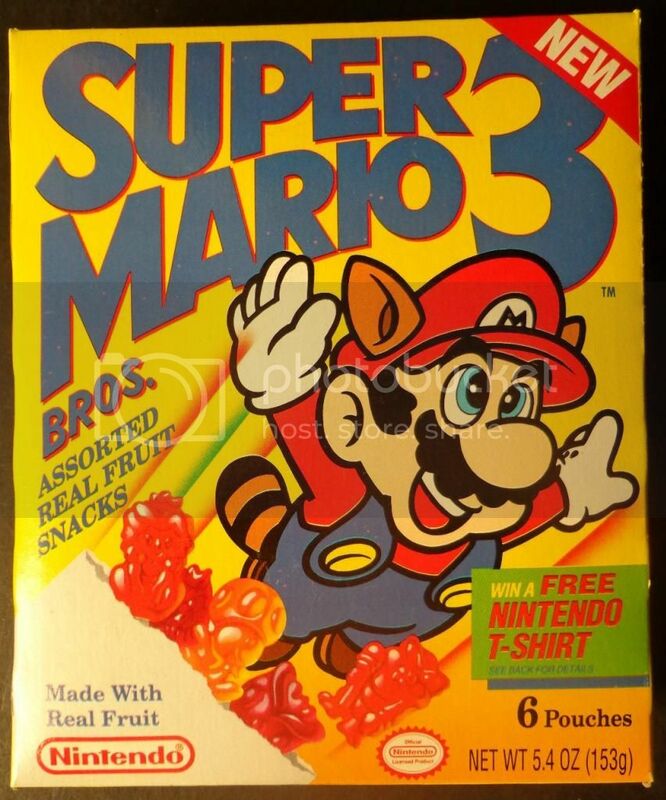 Why does a 31 year old man need Super Mario fruit snacks? He doesn’t. 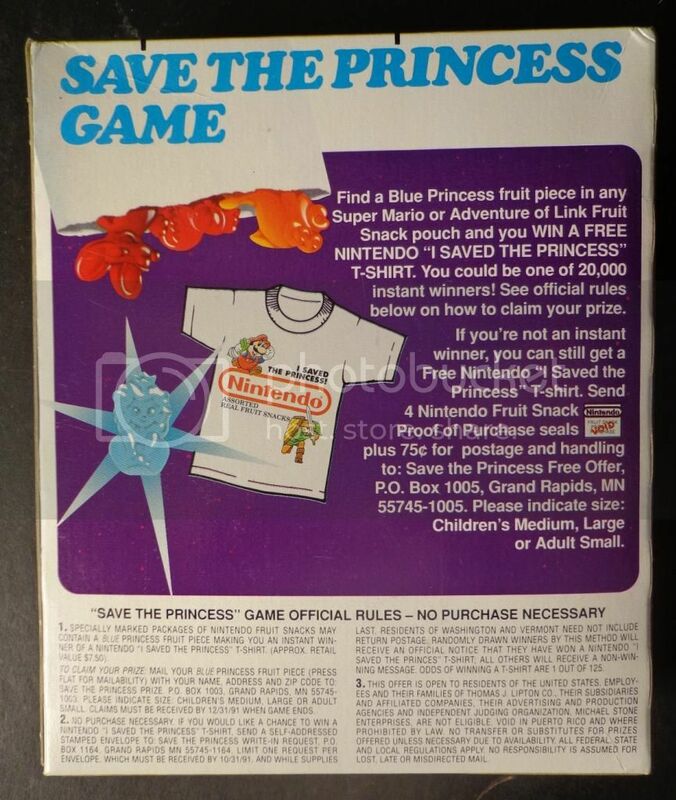 But this 31 year old man would buy almost anything with Mario’s face on it. The shapes are pretty basic. 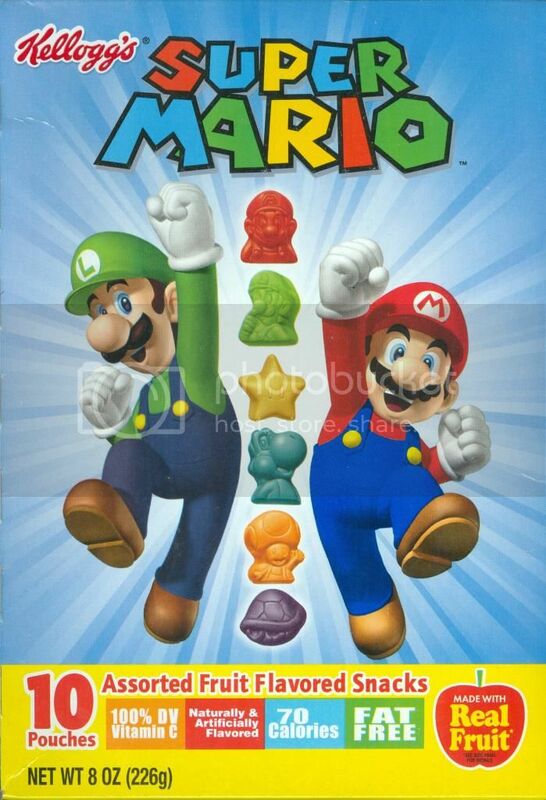 You have Mario, Luigi, Toad, Yoshi, and Koopa Troopa shell and the Star. Back in my day it was called a “Star Man”, by the way. 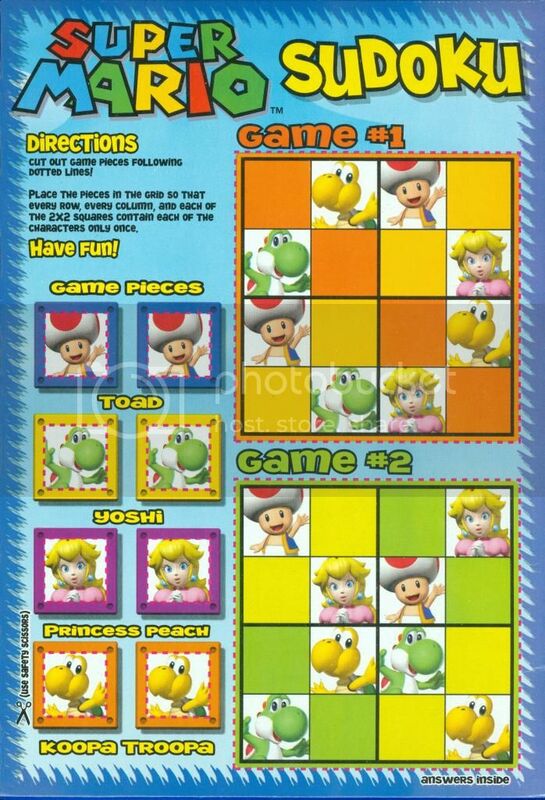 But why couldn’t they add Peach to this line up? Seems a little odd to me. Maybe it’s just like the Betty situation with the Flintstone’s vitamins (look it up :P). Now that’s a cool promotion. What does the new fruit snacks have on the back? Actually maybe they do. I’m not a kid of this generation, I don’t know. But to me at least, it doesn’t seem too appealing.